I am loving the Sketch feature on Houzz that lets you pull together images that you have saved on your Houzz ideabooks. It is a great way to quickly create a mood board. 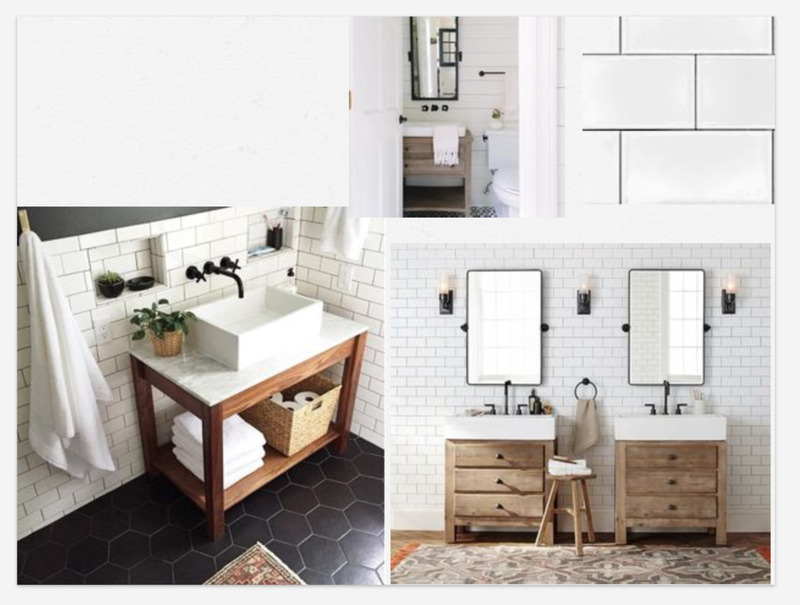 I am currently working on a guest bathroom design and here are my inspiration photos. I'll be using a natural wood vanity with white subway tile and black accents in the faucet, mirror and lighting. Here is the flooring that is already installed. It's a really cool slate-looking ceramic tile. I love the interesting detail in the pattern and it looks beautiful in the space! I can't wait to post the finished room photos of this Bergen County bathroom design!